IVC filters are spider-like devices that are implanted in patients for the purpose of stopping blood clots from migrating to the lungs. 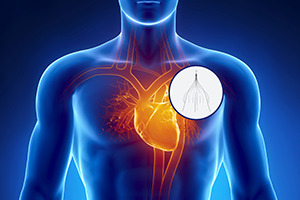 Cook Medical is a device manufacturer that makes different types of IVC filters, such as the Cook Celect IVC and the Günther Tulip IVC filters. The manufacturer received approval for the IVC filters under the FDA 510(k) fast track approval process, which requires only minimal testing before putting a device on the market. However, our IVC filter lawyers know that medical journals have reported substantial problems with the filters. Due to these problems, many patients have suffered serious complications, such as perforation injuries and organ damage. If you were hurt by a Cook IVC filter or another defective medical device, the product liability attorneys at Moll Law Group are available to represent you in pursuing compensation for your injuries. Billions of dollars have been recovered in cases in which we were involved. Studies have shown that when retrievable IVC filters, such as the Cook IVC filters, are left in place after the risk of pulmonary embolism is gone, the legs of the filter can fracture. Pieces of the filter may travel into the lungs or be lodged in other body parts, resulting in severe chest pain. Often, emergency medical care is required to determine the cause. In 2014, the FDA warned that these filters could break and should be retrieved and removed within 1-2 months after the risk of pulmonary embolism is over. The strongest product liability claims that may be made against the Cook IVC filters are based on design defects and failures to warn. Plaintiffs hoping to prove design defects have two tests that they can use. The dominant test is the risk-utility test, in which the plaintiff must show that the safety benefits of designing away a foreseeable risk exceed the costs of the alternative design. It is usually necessary to retain an expert to testify on an alternative design. The other test is the consumer expectations test, which looks at whether the design meets consumers' safety expectations. Most jurisdictions recognize the learned intermediary doctrine. Under this rule, manufacturer warnings provided to a doctor are sufficient to discharge the manufacturer's obligation to warn. If a doctor chooses to use an IVC filter anyway, and injuries are the result, it may be more appropriate to bring a medical malpractice claim than a product liability lawsuit. If you suffered harm due to a Cook IVC filter, the product liability lawyers at Moll Law Group are available to assist you in seeking compensation for your injuries. We represent injured individuals throughout the U.S., including in California, Florida, New York, Pennsylvania, Ohio, Texas, and Massachusetts. Call us at 312-462-1700 or use our online form to schedule a free initial consultation with an IVC filter attorney.